Preempt State Broadband Reporting Requirements? Under What Authority? I am experiencing a healthy dose of Cassandrefreude watching FCC Commissioners McDowell and Baker push the FCC to preempt state data collection of broadband deployment (statements here and here). The matter came up when the FCC issued a Declaratory Ruling findng that nothing in federal statutes or previous FCC orders stops states from collecting their own information about broadband deployment. The ruling expresses no opinion about whether state PUCs have existing authority (given that broadband is a Title I "information service") or whether or not it would be a good idea for states to collect their own data. But even this specter that someone somewhere might do something carriers don't like prompted Republicans McDowell and Baker to push for the FCC to preempt state authority to collect information. After all, as we all know, broadband providers are timid creatures and likely to be scared off by the least thing that could conceivably raise their cost of doing business -- as the broadband providers themselves constantly remind us. 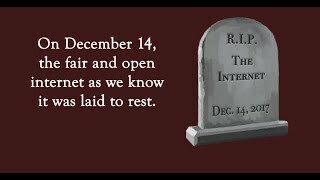 I’ll zip past the usually irony of Republicans who supposedly venerate federalism and demand record evidence before the FCC contemplates action to protect consumers sounding the alarm bell that unless the FCC rushes to preempt state governments, it will mean the end of broadband investment as we know it. Lets get right to the juicy part that fills me with such unbridled Cassandrafreude. 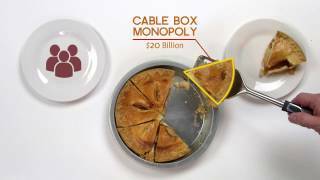 Under what authority, exactly, would the FCC preempt state collection of broadband data? As we all know from the Comcast case, broadband is (at the moment) an “information service.” To the extent the FCC has authority pertaining to broadband, it flows from the FCC’s “ancillary jurisdiction” under Title I of the Communications Act. For the FCC to actually exercise its ancillary authority under the standard set forth in Comcast, it must show how the exercise of authority relating to broadband relates back to an explicitly delegated authority under Title II, Title III, Title VI, or some other relevant statute. As McDowell in particular never misses an opportunity to wax eloquent about, the D.C. Circuit firmly clipped the FCC’s wings with the Comcast decision. No "roaming commission to do good." Any exercise of FCC authority must undergo extensive, rigorous, fact-based analysis, then stand up to the whithering stare of the DC Circuit. But as we all know, one side’s outrageous regulatory overreach is another side’s appropriate exercise of a lawful Congressional delegation. So McDowell and Baker, who insist that the FCC lacks a sufficient record to justify net neutrality rules after a several million Comcast subscribers had their service degraded for more than a year until the FCC ordered it to stop, think the FCC ought to (“aggressively”) preempt the states on broadband data collection because it might have some sort of “negative impact” on providers willingness to invest. I confess, I have trouble envisioning Verizon or Comcast saying “we were all set to build out a rural broadband network with 100 Mb to the home just like the National Broadband Plan says, but because the state makes us file a form, we’re not going to bother – so there!” But let us assume for the sake of argument that a proper record could indeed establish that state reporting requirements might deter some investment in broadband. Under what authority, exactly, do McDowell and Baker believe the FCC could preempt state reporting requirements? Remember, we’re not in nasty old bad bad utterly inappropriate Title II – that regulatory fossil designed only for the long-past age of voice and Ma Bell – with its broad grants of authority and explicit preemption power for interstate traffic. We are in sleek, modern, just-perfect-for-all-things-broadband Title I. So how, using the Comcast analysis, does the FCC find that “aggressively” preempting state reporting requirements for broadband information services links back to a direct delegation of Congressional authority needed to carry out a “statutory responsibility” (rather than a mere “policy statement”) under Title II, III, or VI? We’ll start with the text of the FCC Declaratory Ruling. The Declaratory Ruling boldly asserts (at Par. 6): “Unquestionably, the Commission possesses the authority to preempt State regulations in certain circumstances.” True. But do any of those delegations cover state collection of broadband data? The relevant footnotes cite Section 251 and Section 253 – both of which state explicitly that they apply to telecommunications services (which is why they are located in Title II). Applying the Comcast analysis, the FCC must show how preempting state reporting requirements for Title I broadband services is “reasonably ancillary” to carrying out its responsibilities under Section 251 or Section 253. Section 251 deals with the general obligation of all “telecommunications providers” to provide interconnection to other “telecommunications providers.” It gives the FCC explicit power to preempt any state regulation “inconsistent” with this obligation. It is hard to see how state broadband reporting requirements interfere with the duty of telecommunications carriers to interconnect – at least in a way that would not also allow the FCC to impose network neutrality rules (which far more directly address the duty of carriers to interconnect than any state reporting requirement). The Declaratory Ruling also considered the Broadband Data Improvement Act (BDIA). Could that serve as a source for preempting separate state reporting requirements? As the FCC’s Order noted, however, the BDIA orders the FCC to “recognize and encourage complementary State efforts to improve the quality and usefulness of broadband data” (47 U.S.C. 1301(4)). More to the point, the BDIA also says that nothing in the BDIA confers any regulatory over broadband (Sec. 1304(j)), the kind of provision the Comcast court repeatedly found prohibits a statute from serving as the basis for ancillary authority. This is not to say that the FCC could not preempt under Title I, provided it could find an appropriate basis under the Comcast “ancillary authority” test. In fact, three cases cited by the Comcast court dealt explicitly with preemption of state authority. In CCIA, the FCC preempted state regulation of pricing of customer premise equipment (CPE). However, as the Comcast court explained, the FCC acted there to ensure that the rates for Title II phone service were “just and reasonable” under Section 201. It’s hard to see how preempting reporting requirements for broadband is necessary to ensure “just and reasonable rates” for telecom service, unless the FCC can say that anything that impacts broadband also impacts Title II rates. In which case the same logic would extend ancillary authority to network neutrality rules. The second case that dealt with preemption, the NY State Commission case, offers even less help. As the Comcast court explained, that actually turned on the FCC’s Title III authority over wireless. Granted the FCC could preempt state reporting for wireless broadband purposes under its Title III authority, the FCC already knew that (as it showed when it preempted states on tower siting rules). Nothing here helps to preempt reporting requirements for wireline broadband providers, however. Which brings us to the final preemption case discussed by the Comcast court – NARUC II. There, the FCC asserted general ancillary authority to preempt state regulation of cable leased access rates. However, as explained by the Comcast court, the entire point of NARUC II was that the FCC does not have general authority under its “ancillary jurisdiction” to preempt the states. Indeed, given the emphasis placed by the Comcast court on the NARUC II case, I’d advise McDowell and Baker (and others urging the FCC to preempt state authority over broadband) to reread NARUC II. They will find that many of the arguments they would like to make for preempting state authority over Title I broadband services were addressed and rejected by the NARUC II court when cable was a Title I service. Of course, if the FCC reclassified broadband as a Title II telecommunications service, they would have explicit authority to preempt any state regulation they wished. It might be a bad idea, but they would certainly have the authority to do it. Until then, as Mr. Seidenberg so often says these days, it would appear that if broadband providers want to preempt state regulation, they must all trot off to Congress and ask them to grant the FCC explicit preemption authority. No doubt Congress will get around to it eventually. Meanwhile, as the states and localities began to flex their new found freedom, I shall savor the bittersweet feeling of Cassandrafreude as cablecos and telcos deal with an explosion of regulatory innovation from the laboratories of democracy.